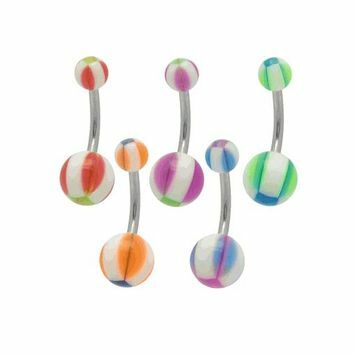 This is a fun multi color design acrylic beads belly button ring. 316L surgical steel shaft with 8mm bottom and 5mm top acrylic beads. Bead available in variety of colors. Price is for one item. You get one belly ring for the listed price.